<Swaddled by David Beckham in a £5,000 blanket – does this dog have the dream life? Open Colette’s Wikipedia entry and – just as with one of her novels – you’re hooked right away. “She was a French author and woman of letters, also known as a mime, actress and journalist, nominated for the Nobel prize in literature in 1948.” She wrote more than 30 novels and was called “the greatest living French writer of fiction” by the New York Times, just before her death in 1954. That’s not to mention her status as the ultimate cat lover. Thanks to Colette, feline fans on Instagram have an almost endless supply of quotes for captions (“Our perfect companions never have fewer than four feet” is a personal favourite). The other accolade missing from that impressive CV? Style icon. Colette, born in 1873, came of age as photography became popularised. When the cheap and easy-to-use Kodak Brownie became available in 1900, she was 27 and already a personality in Paris. She was photographed in thinker’s pose at her desk in a polka dot blouse; lounging with two cats and matching feline eye makeup; smoking in a man’s suit; in black stockings and dancewear backstage before a performance … In almost every picture, her kohl-rimmed eyes meet the viewer’s (and the photographer’s, more than likely a man) with confidence. Colette offers a lesson in how a woman can use style to take ownership of her image – ensuring that she always has the last word. Colette famously drew on her colourful life for her novels, including her experience of being a dancer in music halls (The Vagabond) and having an affair with a much younger man (Chéri and The Last of Chéri); the breakthrough Claudine series was inspired by her school days. The expressive “this is me” shrug of her attitude is just as refreshing today as it was more than a century ago. It cuts through the decades much like her way of wearing men’s tailoring – in soft velvet with lashings of eye makeup and jaunty neckscarves. Colette, the new biopic in cinemas this week with Keira Knightley in the title role, focuses on the author’s formative years. Growing up in the Burgundy countryside, she met Henry Gauthier-Villars AKA Willy, a controversial author and socialite who was an acquaintance of her father’s. He was 14 years her senior; they married in 1893. As the film tells it, Colette used fashion as a way to express her transformation from a country girl in frills and long plaits to Parisian It-girl with a bob and a trouser suit (sidenote: Knightley’s leg of mutton blouses and cropped boleros could also work in 2019). Andrea Flesch, the film’s costume designer, says Colette’s style reflected not only her journey, but also the shifts in society at the turn of the century. The author herself was no slouch when it came to branding, either. Born Sidonie-Gabrielle, she became known by only her surname while she was still at school, recognising way before Madonna that a single moniker announces your importance from the get-go. After she separated from Willy, who famously plagiarised his wife, in 1906, this approach helped her as she became a giant of French literature. Those taking style inspiration from novelists such as Colette reflect a wider, more highbrow trend in fashion: US novelist Joan Didion featured in a Celine campaign in 2015; French New Wave director Agnès Varda is the cover star of The Gentlewoman autumn edition, while painter Georgia O’Keefe’s personal style was featured in the New Yorker last year. Terry Newman, in the coffee table book Legendary Authors and the Clothes They Wore, describes how Colette used clothes to “radiate character, both in her own life and in the lives of the characters she created in her writing”. That influence has endured in some surprising ways, from retail to Hollywood: she lent her name to Colette, the cult Parisian boutique that became an industry favourite before closing after 20 years in 2017. And Colette discovered Givenchy muse Audrey Hepburn, casting the almost-unknown actor in the stage version of her novel Gigi in 1951. Always in the avant garde, Colette was also a pioneer in her acceptance of androgyny and sexuality that was, then, taboo: the film shows the author’s relationship with aristocrat Mathilde de Morny, or Missy, who was gay and wore men’s clothes. 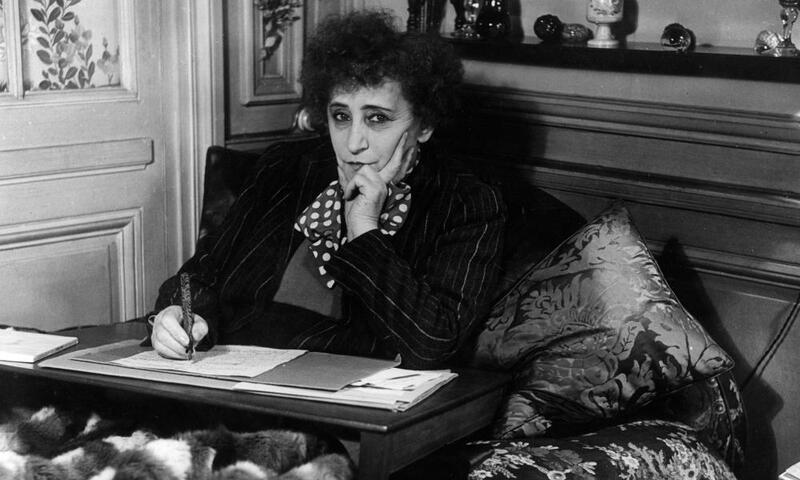 Style isn’t a footnote of Colette’s legacy, it’s a central part of it. Sixty-five years after her death, her influence extends beyond your bookshelf, Instagram captions and cinema: Colette’s free spirit is inspiring our wardrobes, too.